Tim Checketts is EMEA Sales Manager of Speciality Products for System Sensor Europe, a wholly owned subsidiary of Honeywell. His primary focus is to drive new channel partnerships for the Fire Alarm Aspiration Sensing Technology (FAAST) range. As part of an automatic fire detection system, aspiration technology offers five main benefits that significantly increase its effectiveness over traditional solutions. It achieves ultra-high sensitivity, combined with false alarm immunity, which reduces downtime. It reduces costs by enabling routine maintenance outside the protected area. It extends protection to inaccessible, challenging environments with high levels of dust/dirt. It provides multiple communication channels. It improves aesthetics by eliminating the need for visible smoke detection. Technology advances — particularly in improved filtration, enhanced communications, and integration into the overall fire system under the management of a single control panel — are rapidly changing the capabilities of aspiration systems. They were traditionally regarded as a specialist technology for protecting high-value, enterprise-critical infrastructure, where very early warning and a low incidence of false alarms were the primary criteria. The recent introduction of EN 54-20, with its three distinct and separate classes, and the subsequent development of technologically advanced systems are evidence that aspiration is fast becoming a highly effective technology for use across a wide range of mainstream applications. How versatile is the technology, and where can it be used? The characteristics of an aspiration system make it suitable for protecting a surprisingly wide range of facilities. Here are some typical examples. Enterprise-critical facilities: Across all businesses, fire not only has direct impact but also causes significant reputation damage — 25% of datacentres do not reopen following a major disaster, 70% of small firms that experience a major data loss go out of business within a year, and 50% of businesses have had their reputations damaged from IT downtime. The newest aspiration technologies can deliver ultra-high sensitivity along with false alarm immunity — essential for providing the earliest warning and service continuity in datacentres and computer rooms, which are the heart of almost every modern business. High levels of dust and dirt: The latest systems use sophisticated filtering techniques to remove particles larger than 20 microns but allow the products of combustion to pass through to the remote detection chamber. This provides a very effective, false alarm-free alternative to point detectors in dusty and contaminated applications, such as food and drink manufacturers, pharmaceutical facilities, wood processing plants, and flour mills. Newer technologies are also impervious to high airflow and temperature extremes that can cause false alarms in point detectors. Restricted access: In facilities such as power plants, physical access is restricted because of the potential danger to life. In clean rooms and laboratories, the disruption caused to installed equipment and processes by people entering is not acceptable. Only the sampling pipes intrude into the protected space, so routine maintenance is performed outside the area. Costs are reduced, because the facility doesn’t need to shut down. Aspiration also extends protection to areas such as lift shafts and underfloor or ceiling ducts, where access for point detector installation and maintenance is physically difficult or impossible. Lifts do not need to be deactivated for smoke detector testing, and no specialist resource is required to minimise building disruption and cost. Large spaces: Aspiration detection is an effective option for protecting high-racking warehouses. The 10.5m maximum installation height for point detectors may be too low. Beam detectors, which can be installed at heights of up to 25m, may not have an unobstructed field of view. Large public areas such as stadiums are also affected by changes in airflow and smoke stratification, which can cause issues for traditional detection methods. Furthermore, aspiration detection solves the testing and maintenance issues associated with locating smoke detectors installed at high levels. Historic buildings: The combination of discreet, small-bore sampling pipes in a protected area and the remote aspiration detection unit providse an unobtrusive method of protecting heritage properties and high-end architectural buildings where aesthetics are important. What communications capabilities do aspirations systems offer? Multiple communication channels are a key requirement in today’s connected world. The vertical silo mentality has rapidly become outdated. Some systems have embedded Ethernet connectivity, which delivers email alerts to six addresses after an event trigger. This is particularly effective in remote facilities such as telecom base stations. It also provides direct communications via Modbus integration with the building management system. Are there any other interesting features for consultants and specifiers? Designing an aspiration system can be challenging. That’s why suppliers are offering all-in-one pipe design and configuration tools to simplify pipe layout and generate a bill of materials. It is important that pipe designs meet the needs of EN 54-20 for ASDs. Improvements to environment monitoring are also improving the effectiveness of aspiration systems. An acclimate mode constantly monitors and corrects for varying levels of nuisance particles to ensure that smoke sensitivity is maintained without compromising exceptional levels of false alarm immunity and continuity of service. 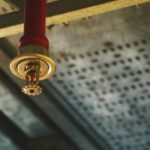 All these advancements are changing the landscape of fire detection, making aspiration a credible alternative to traditional methods. There are a number of players in the aspiration detection market, all of which use different technologies. Make sure you choose a proven solution that mitigates risks and delivers additional business benefits, such as improved maintenance, integration with other systems, and reduced downtime. Would there be much different between this and having fire systems properly connected to the security system’s intelligent/integrated front ends? This site includes data sheets, case studies, technical specifications and a collection of informative videos. In addition, by visiting the site you can even download our Pipe IQ system design, configuration and monitoring tool free of charge. You are also very welcome to follow our FAAST page on Linkedin which will grow into a comprehensive reference source over the coming months. @ JonathanL, these are very useful insights and show your deep understanding of the system. Security systems are connected chains of integrated systems and connected chains are only as strong as the weakest link in the chain.These weak links keep the system from attaining its highest potential. But improved individual systems are steps toward ultimate improvement of the system. @ Tim Checketts, I tend to agree because detecting a problem at an earlier stage is vital in minimizing the damage if not to prevent the damage. This would certainly need on site equipment to cope with the problem locally without the intervention of fire department. I would like you to shed more light on communication channels other than Ethernet.